Publisher: Tab Books Inc., Blue Ridge Summit, Pa.
Foreward by Major General Homer S. Hill. The Soviets invade the Saudi oil fields on Good Friday. 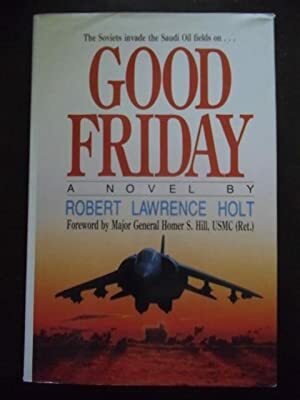 In the near future, two flights of Soviet fighters converge on oil-rich Saudi Arabia, and the U.S. scrambles to find a way that will stop the Russians without starting World War III. The Saudi king promises aid but tells his princes a different story, and the princes, in turn, have their own uses for military units under their controlwhen, that is, the fiercely independent Bedouins obey their orders. Meanwhile, the American president, a former history professor elected on a peace program, orders a massive military operation and agrees to overthrow the Saudi leaders. Fast-paced, rousing and clever in its impromptu solutions to tactical problems, this also relies heavily on stereotypes and somewhat kneejerk jingoism. <br />Copyright 1987 Reed Business Information, Inc.